Ria Anadkat, 4th year Zoology MSci student, outlines her research looking at the behaviour of some of the #beastsofuon. A vast number of insect species observed throughout the UK tend to be overlooked – hoverflies often fall victims to this. In actual fact, these flies are indispensable when it comes to pollination, and the way in which their larva consume sap-sucking pest species proves useful in agricultural settings. For these reasons, this family of insects provide vast ecological and economic benefits. Some hoverfly species can also act as environmental indicators, meaning their abundances allow for us to monitor environmental and climatic changes. Unfortunately, a number of species in the UK require conservation action as their numbers are critically low; human activity can cause destruction to habitat and breeding sites. As well as their useful life histories, hoverflies are valuable when understanding the phenomenon of Batesian mimicry. This is when a palatable (edible) species, known as a mimic, resembles an organism that is distasteful to predators (the model). The mimic is conferred protection against predation, being mistaken for the distasteful model. This complex evolutionary relationship is seen in hoverflies, bearing the often vivid yellow and black jackets of stinging insects such as wasps and bees. Although mimicry has been widely studied, academics continue to debate why some mimetic species of hoverfly might only vaguely resemble a distasteful insect. Somehow these inaccurate mimics are still able to benefit from a crude resemblance to a wasp or bee, even though natural selection ought to weed these individuals out in favour of those with a higher fidelity to models. I am currently running an experiment on the University campuses to understand more about this. My project aims to explore the ‘multiple model hypothesis’ which suggests that inaccurate mimics actually appear as intermediates between two unpalatable model species. The experiment, based on the University Park and Jubilee campuses, involves determining how often an ‘intermediate’ mimic presented alongside two models, will be predated upon in relation to the same mimics presented alongside a single model. Wild bird populations found on campus will act as predators. Hoverfly prey are represented by ‘pastry baits’ consisting of flour and lard as these can be coloured and made distasteful using chemicals, to represent models. Site A will feature red and blue distasteful baits (representing models), alongside intermediately coloured palatable baits (representing mimics). Site B will feature red models and the same, intermediately coloured mimics. Site C will feature blue models and intermediately coloured mimics. The same experiment will also be repeated with different numbers of stripes being used instead of colour, with a three-striped mimic being presented alongside a four-striped and a two-striped model. Looking at both colour and pattern will allow for me to explore how both of these are perceived by predators. Predation rates upon baits at each location will be examined and compared, to determine whether the intermediate mimic confers added protection by appearing similar to two unpalatable species, by being attacked less. Consumption or damage done to baits will be checked, with baits being replaced each morning, and laid out for five consecutive days. This study aims to improve our knowledge of how evolutionary pressures, such as predation, can give rise to complex phenotypes. 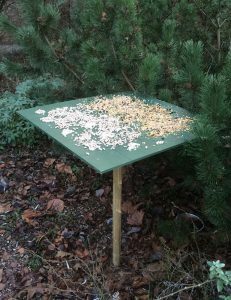 It highlights how important insects and birds are in scientific study, allowing us to understand important biological processes such as selection. We ought to take more of an interest in hoverflies, as they are useful in both academia and day to day processes, including agriculture. They are a valuable species worth our attention, particularly when viewing them as a subject for conservation efforts; this should not be difficult given that they share an affinity with us, with gardens, fields, and ditches providing hoverflies with habitats and breeding grounds. 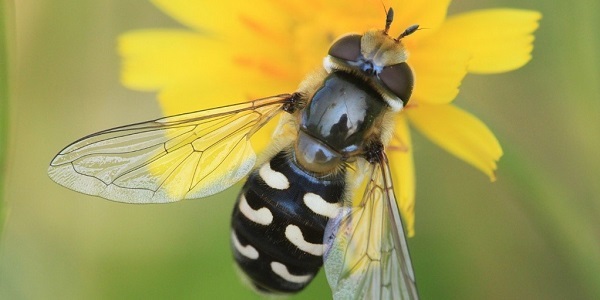 By attracting and facilitating the reproduction of certain hoverfly species, by using specific plants and preserving certain habitats, these key pollinators and agents of biological control can be saved from the threat of extinction.